Apex Window Films offers our Toronto area customers a comprehensive selection of professional grade solar control and safety window film products for residential and commercial applications. We also install hundreds of varieties of decorative films and custom graphics. To assure Apex Window Films meets our clients' exacting standard, we source materials from the world's top quality manufacturers. St. Gobain's flagship solar control window film product line for automotive, residential & commercial applications. St. Gobain's premier line of residential and commercial solar control and safety films, offered through only through an elite network of window tinting professionals. Apex is Toronto's leading installer of Panorama films. St. Gobain's Safety and Security line of window films. Thicker than standard window tints, GSA approved safety and security films help hold glass in place upon impact. Suitable for residential, commercial, government and institutional applications. Helps prevent smash and grab crime. Nano Ceramic Solar Control Window Films increase comfort, conserve energy and save money on air conditioning, without adding reflection to windows. Huper Optik films have been used for A & E points in LEED certification. 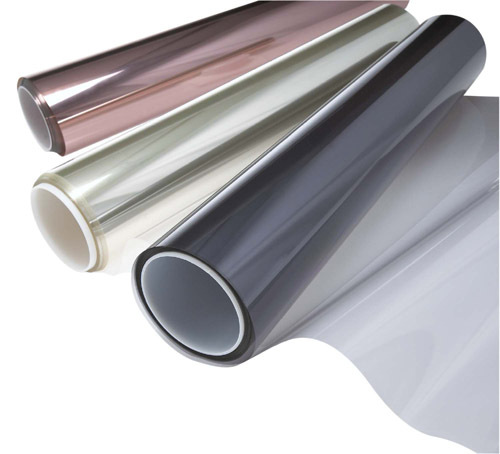 Apex's own line of quality affordable window films for a wide variety of residential and commercial applications. Now available for Do-It-Yourself installations.